So after another long pause in my blog I finally decided to write some more. I Haven’t really been on a lot of long walks over the past few months, probably because I’ve been quite busy getting married and honeymooning. But just last week I went on a walk in mid Wales with the usual walking crowd of Lou, Claire, Jamie and Parker. The plan was for a 9 mile hike across the mid Wales moors north of New Radnor, taking in a bit of the Radnor Forest and visiting 3 trig points along the way which marked the 3 highest points in the area. We knew in advance that the weather was not going to be great, the forecast was for rain rain rain, but undeterred (as we had planned this walk months in advance) we all drove 2-3 hours to reach the small village of New Radnor. When we arrived we started to realise just how wet the day was going to be, it’s was not tipping it down, that would have been better I think because when there is heavy rain you know it will ease off. 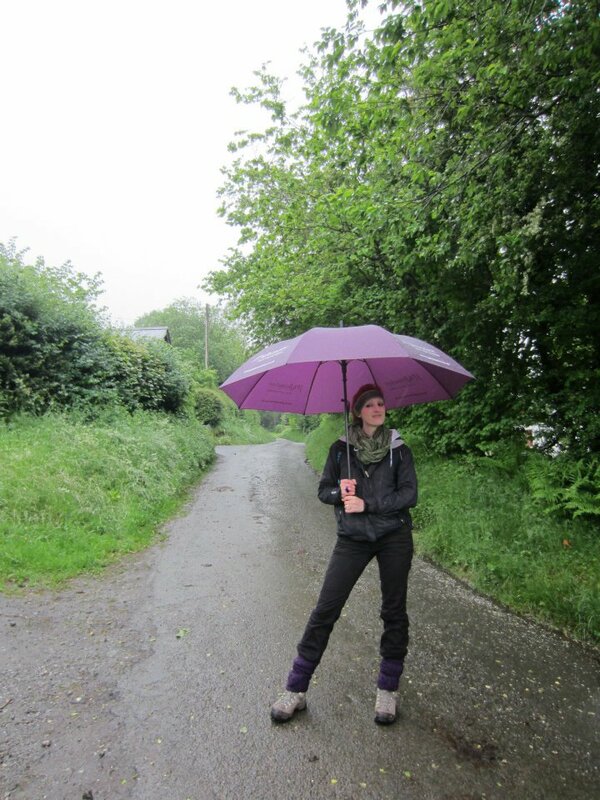 No this was prolonged heavy drizzle but having now driven all this way there really was only one option, go walking! So we threw on our waterproofs and headed out to the forests. The first initial climb was quite steep up a tarmac road, it seems the steepest parts of our walk are always at the beginning just to give us a shock and dampen our spirits, (which the rain was doing just fine, without the incline) but this soon mellowed off as we entered the first section of forest track which meandered through the trees. The track turned to open Moors and after a few map checks and some head scratching we found we were just a kilometer from the first trig point. Here we had a choice, make the short detour to the trig point or carry on to the shelter of the forest and the 2nd trig point, at this point, over an hour into the walk and now really starting to feel miserable about the whole thing we rightly decided that this extra distance in the rain and clouds to see a trig point where you can’t see more than 10 meters in front of you was not really worth the effort. 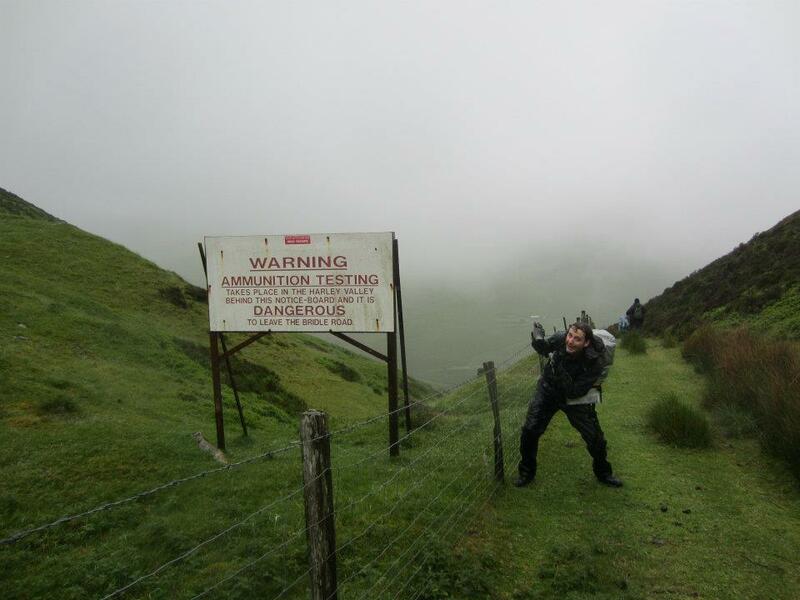 As such we carried on and headed for the second target ‘Black Mixen’ which stood at 640 meters on a wet Welsh hill. 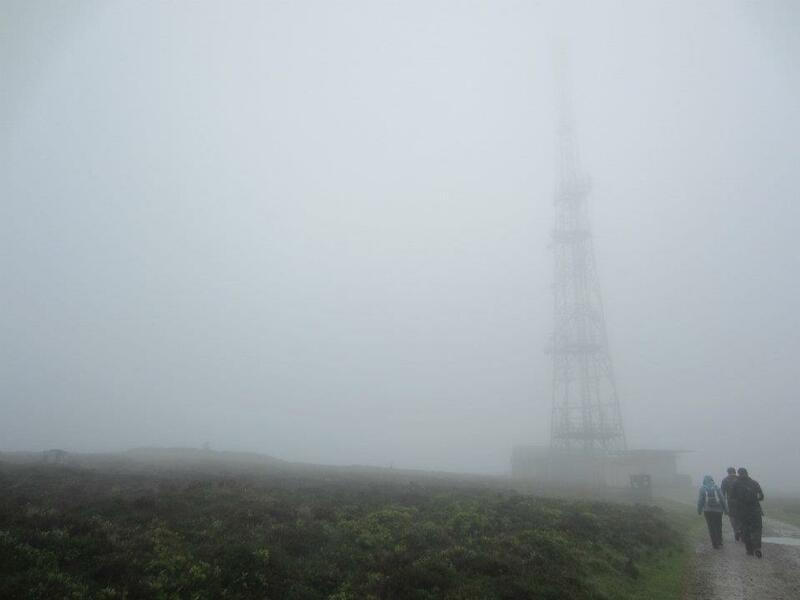 After a short stop for lunch in the second forested section (without doubt the quickest walking lunch we have ever had) we quickly came across ‘Black Mixen’ where the trig point was overshadowed by the domineering radio mast that stood next to it in the murky clouds. Myself and Claire sneaked in underneath the mast to have a look then joined the rest of our party at the trig point for a silly photo of us and then we were off again with no time to waste in this weather. 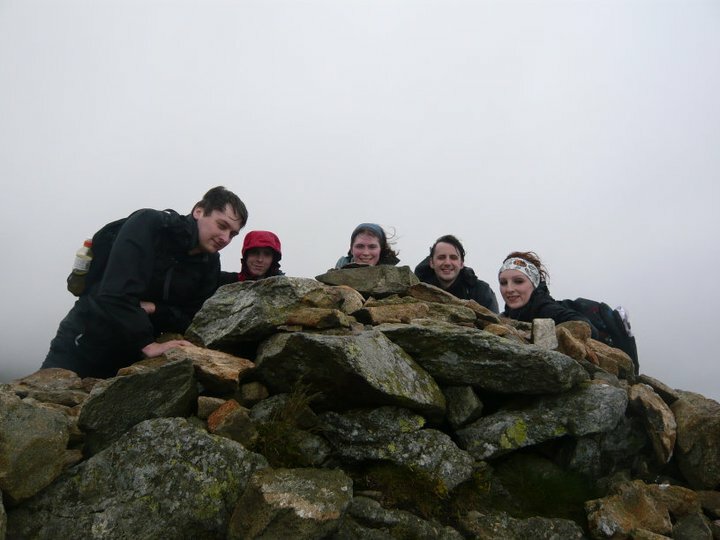 It was not long until we found ourself at the final peak of our journey, well…I say a ‘peak’, it was just the highest point of the moor at 650 meters named ‘Great Rhos’. 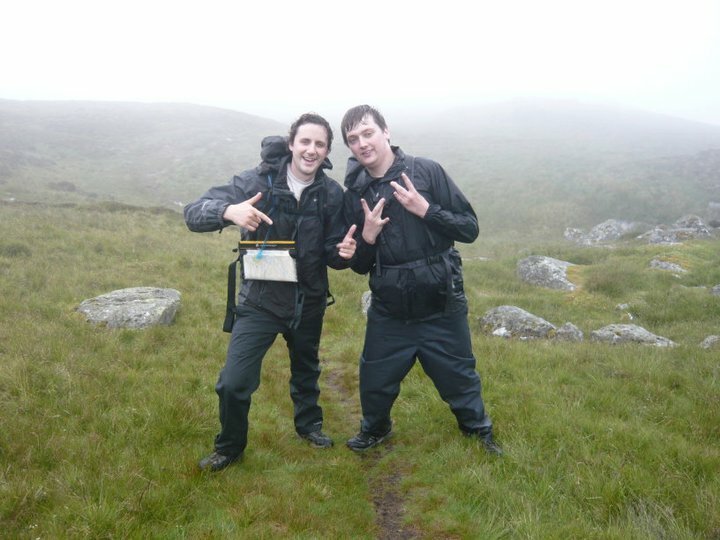 Again another silly photo was taken before heading off the hills as the mood of the group started to nosedive in the 4th hour of continuous rain. It was not long until we descended into the valley alongside the military rifle range and we made our way back to new Radnor where a change of clothes and a glass of cider brightened things up. We had planned to camp nearby but with the weather as it was we thought better of it, we shared a meal at local pub and headed back home to the warmth of our own homes. I would like to give a special thankyou to Claire Morley for the use of her photos. You can find a map of the route and a written guide here. June 11, 2012 in Personal, Walking.